Inbound marketing is one of the most effective marketing strategies for any business, yet, we find that so many businesses don’t have one. Maybe because it’s time consuming? Or maybe because several brands don’t even know about inbound marketing? Whatever the case may be, brands that aren’t taking advantage of inbound marketing are missing out on a lot of prospective leads that could be coming through their sales funnel. Our agency knows about this first hand, as in the last four years, we have embraced inbound marketing and learned how massive the results can be. We credit our continued new business sales growth specifically to Inbound Marketing. And just recently, have begun offering our knowledge to other brands to help them build their own Inbound Marketing programs . 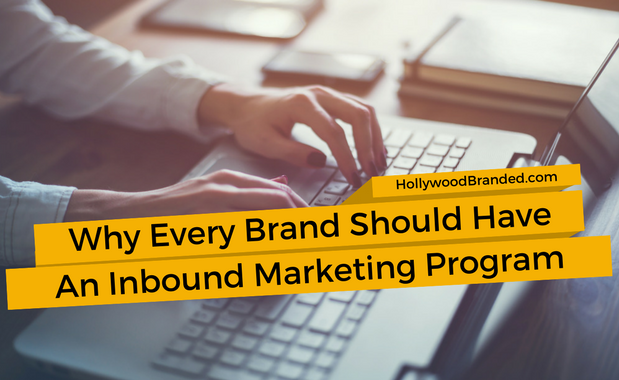 In this blog, Hollywood Branded explains 4 reasons why every brand should have an inbound marketing program as the foundation of their marketing strategy. From TV partnerships to feature film, digital podcast to radio... 3rd party content offers brands - and apps - the opportunity to become embedded in the storyline. 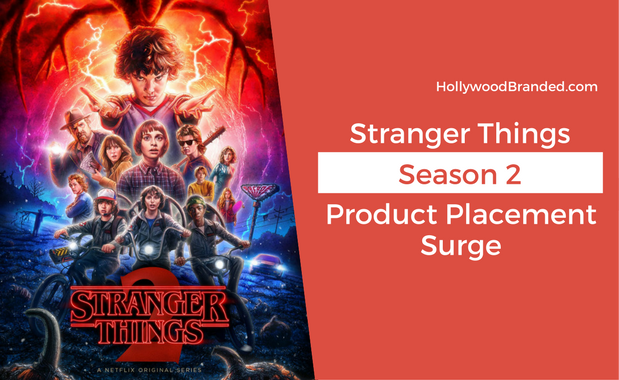 And those product placement exposures act as brand builders, targeting consumer demographics that will ultimately lead to heightened brand awareness, and treasured downloads. Now that doesn't mean success happens overnight or with one content partnership. In fact, just like any sort of advertising or PR campaign, repetitive exposure is what will lead to overall success. 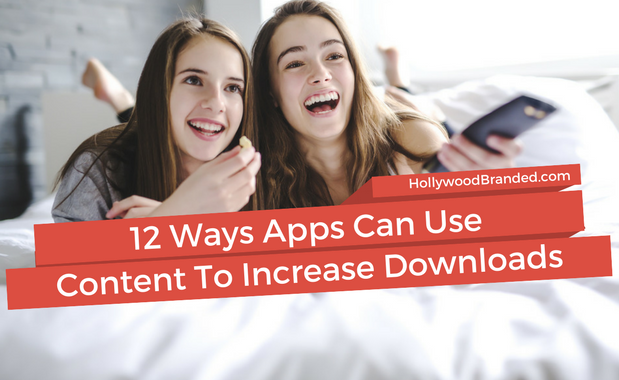 In this blog, Hollywood Branded provides insight into the 12 ways brand marketers use entertainment content to increase downloads. There are over 6.3 million apps currently on the market. And that number is only growing substantially. The App Store alone is projected to have over 5 million apps by the year 2020. And with the average adult user only using 9 apps a day, and 30 per month that is an incredibly crowded marketplace with a very difficult issue of distinction. Now, all those apps are not necessarily good. Nor are they all funded well enough to be able to market themselves. But many are, and our team is often called in to brainstorm and discuss how marketing strategies can build app awareness, in this very crowded marketplace. So what's an app brand marketer going to do? Our suggestion -- social influencer and content marketing. In this blog, Hollywood Branded provides insight into the 3 ways to use influencer, celebrity and content to drive downloads for apps. We always talk about music videos being one of the most effective platforms for brands. Why? Because these videos live forever online and are replayed for years after their debut. The brand exposure just never dies. But how actually does the brand ultimately get the exposure? There are a ton of questions: How do these partnerships come about? Do the brands approach the artist? Does the record label approach the brand? Is it done through the artist’s management? And what happens after the initial interest is confirmed from both parties? 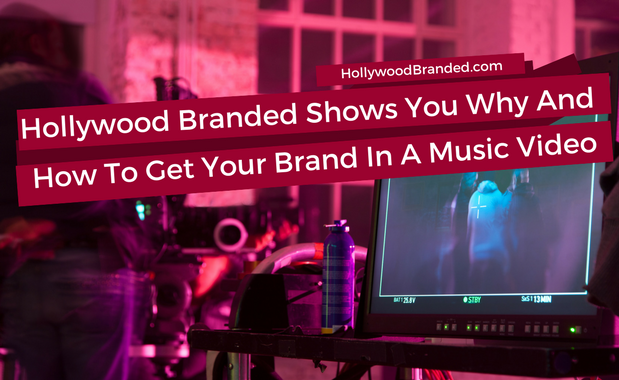 In this blog, Hollywood Branded provides an inside look into the benefits and how to get your brand in a music video from one of our own music video campaigns. How it came to be, how it was filmed, and how we prepared the brand for the music video’s release.